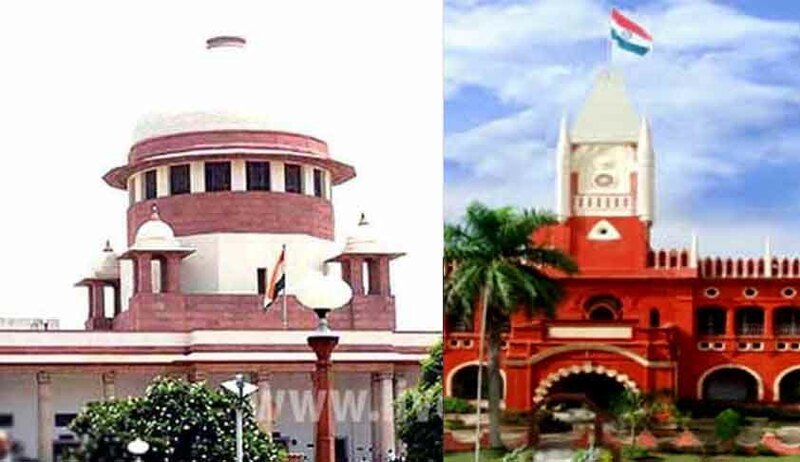 Two sitting judges of Odisha High Court – Justice Indrajit Mohanty and Sangam Kumar Sahoo – on Monday appeared before the in-house inquiry committee set up by the Supreme Court to probe into the allegations of abuse of their power and positions. A three-member inquiry committee headed by Justice SJ Vazifdar, Chief Justice of Punjab & Haryana High Court, has also recorded the statement of the judges during the proceeding which lasted for over two hours at Haryana State Guest House in New Delhi. Complainant Jayant Kumar Das, RTI activist and complainant, also appeared before the committee. According to a source close to the committee, after both the judges refused to record their statement in the presence of complainant, the committee recorded the complainant’s statement separately. He was allowed to inspect the documents submitted by the judges after the proceeding was over and was asked to file reply to those documents by May 19. Other members of the enquiry committee are Justice T. Vaiphei, Chief Justice of Tripura High Court and Justice Arun Tandon, judge of Allahabad High Court. This is the second proceeding of the committee. The sitting of the committee was earlier scheduled for March 4, 2017. However, Justice S. Abdul Nazeer, a judge from Karnataka High Court, who was the third member, got elevated to the Supreme Court and Justice Tandon replaced him. In September 2016, RTI activist Jayanta Kumar Das had written a complaint to then CJI TS Thakur, seeking legal action against Justice Mohanty and Justice Sahoo. The former CJI had then constituted the in-house committee to look into the allegations. Justice Mohanty, the second senior-most judge of the Orissa High Court, has been alleged to have found bank loans to run his hotel business after he was raised to the bench. Mohanty was appointed as a judge on March 31, 2006, and earlier to his appointment, he was a practicing advocate in Orissa High Court since 1984. The complaint against Justice Sangam Sahoo, who was appointed as judge of high court in July 2014, was that as an additional judge, he had allegedly abused the public fund for restoration of his official residence, beside his entitlement inside the bungalow. Similarly, Justice Sahoo has been facing allegation of utilising excess fund for renovation of his official quarter beyond his entitlement.